Buffalo Bills safety Micah Hyde grabbed his league-leading fifth interception Sunday against the Oakland Raiders. Hyde, a free agent acquisition from Green Bay this offseason, added three stops for the 5-2 Bills, bringing his season total to six (while he has only missed one tackle all year). 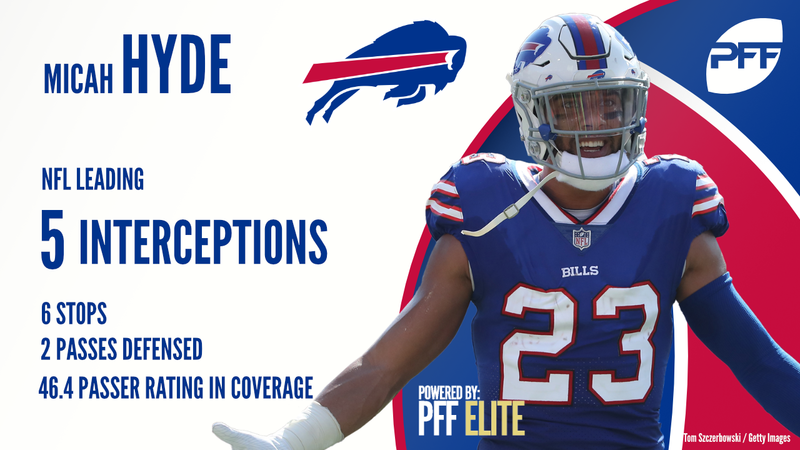 After four years of being a sub-package role player for the Packers (never playing more than 80 percent of his team’s snaps), Hyde has played all but two of Buffalo’s defensive snaps so far this season, and has helped the Bills’ defense become one of the league’s best.